Welcome to Flowers for all Occasions' privacy notice. 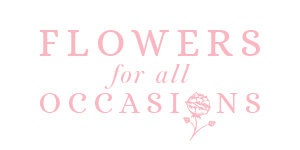 Flowers for all Occasions respects your privacy and is committed to protecting your personal data. This privacy notice will inform you about how we look after your personal data when you visit our website (regardless of where you visit it from) and tell you about your privacy rights and how the law protects you. Flowers for all Occasions is the controller and responsible for your personal data (collectively referred to as "Flowers for all Occasions", "we", "us" or "our" in this privacy notice) processed through this website.